*13oz & 18oz Blockout 2-Sided Scrim Banner-Best suited for double-sided signs and banners. * Graphic Finishing: 3" bleed at the bottom. * Included Economic travel bag. 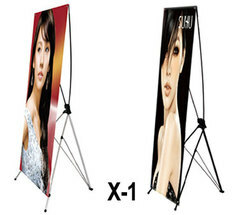 The X-style banner stand offers a great looking display at an economical price. A black nylon bag is included. * Medium size - 31.5"x70.8"
Mesh banners are a great solution for windy locations instead of using wind slits which may cause your banner to tear out. 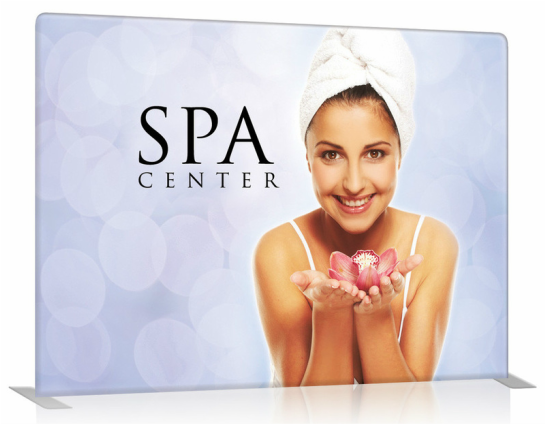 Mesh banners are printed on a polyester material that allows the air to blow through. Feather & Teardrop Flags are perfect for outdoor events such as sports, festivals and even concerts. This particular flag unit is easy to advertise for use at sporting events, festivals and trade shows. This Table throw is a great addition to your trade show booth. The material is a polycotton blend and is fire retardant. Table covers, standard sizes are 6ft and 8ft, It also can be a custom size. - 8' Banner Stand - Its width is adjustable from 48" to 96" (4 ft to 8 ft), and its height is adjustable from 36" to 96"(3 ft to 8 ft). Make a big impact at your next outdoor event with a custom print outdoor tent! 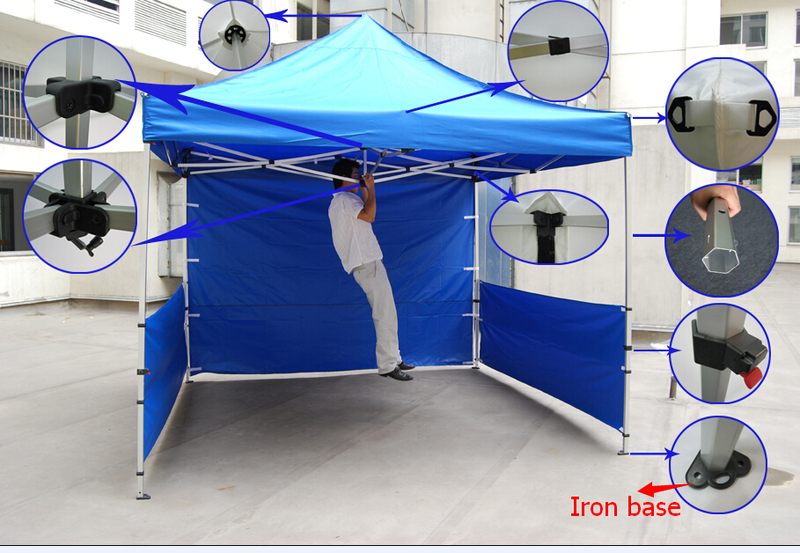 Our tent frames are made from light weight, weather resistant aluminum with 40mm x 40mm hexagonal legs.The cover is made from waterproof, UV resistant, PU coated 500D oxford material for lasting durability. Choose from a variety of sizes to fit your needs. Order today!